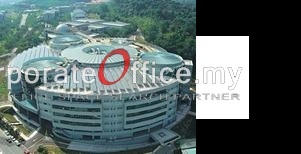 Malaysia's most advanced and comprehensive centres for research and development for knowledge-based industries. Its total land area of 750 acres (3 km²), comprises state-of-the-art buildings with specific functions. Amenities such as gymnasiym, badminton court, library, tennis court, karaokae etc. are available for booking of the tenants. Located at the southbound of KL City, it is the most affordable MSC Malaysia designated area with an Kuala Lumpur address. Driving back home from here to most places during peak hours after work, you will most likely find no problem in the traffic compared to if you are working in other office locations. Call us today at +6014-6262 623 or email us at info@CorporateOffice.my to book for a tour of the strategic office development to find out what is available & book a space there!